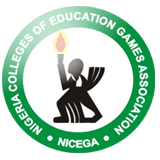 Nigerian Student Athlete Expelled From NICEGA For Not Reciting National Anthem,A student of the College of Education Akamkpa, Cross River state, identified as Esther Edet has been reportedly expelled from the 19th Edition of Nigerian Colleges of Education Games, NICEGA for allegedly refusing to recite the National Anthem. According to reports, the student infringed the rule that states that all students and participants must be on their feet while the national anthem is rendered, but Edet was seated and didn’t recite the Anthem along with other participants. However, it was gathered that Edet reportedly said she was week and couldn’t stand up during the anthem, and she didn’t flout the rule intentionally.